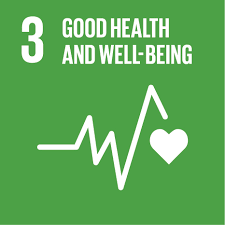 The 5th of December is the UN International Volunteer Day for Economic and Social Development. It is viewed as a singular chance for volunteers and organisations to celebrate their efforts, to share their values and to promote their work. SCOUTS South Africa has many volunteers who offer their time and knowledge on a daily basis. Sometimes we receive volunteers who come from far afield. 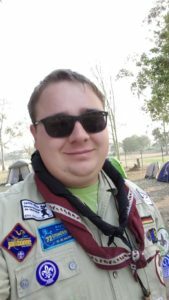 One such a volunteer is Marvin Raussen who has come from Germany to volunteer for a year at the Mpumalanga Scout Center in Nelspruit. My name is Marvin Raussen. I am 22 years old and am currently working as a volunteer in the Scout Office in Nelspruit, Mpumalanga. I am from Germany, where I live in a small town called Witzenhausen that has a lot of nature and forests. I often go hiking. I did an apprenticeship as an electrician at a company called SCA that produces toilet paper. Besides being active in Scouting I really love socializing and photography. SSA: Can you give us a brief summary of your Scouting career? I have been involved in Scouting for 14 years. When I was young, a friend of mine invited me to a Cub meeting, so I tried it and ever since I have been a member of the Scouting Movement. For the past 4 years I have been a Troop Scouter which I really enjoy because we play games and learn new skills together. Last year, I was also the Group Scouter but because of my year abroad, I had to cede my position. Furthermore I helped organise many activities like camps or hikes for the Scouts and the Adult Leaders. SSA: You must have many awesome memories, can you give us a few? Well, the past few months would be a good example. The South African consulate rejected my application for my Visa, so I had to apply a second time and wait 8 weeks until they came back to me. To bridge the time and to minimize the stress, I went hiking and backpacking with my dog for 9 days. I had a 28kg Backpack filled with a tent, food, water and clothes. I was wearing my Scout uniform the whole time so that people could see that I am a Scout. From home we hiked north. We slept next to a lake, on the beach near the Baltic Sea or in the forest. It was a very good experience because I met many new people that were very kind to me. I also slept in a guest room at a fellow Scout’s house, he cooked me supper and I had a shower. This is what I love about Scouting. You learn to live with as little as possible and it works every time. Through Scouting you also learn how to survive without spending much money and how to build a tent at night when you only have one tarp. It was a very good experience that I will never forget. SSA: You are now here to volunteer for SSA for a year. Why Africa? To answer this question, I have to tell you a little bit more about my life first. My parents were development workers for 16 years and they worked in different countries. I was born in Harare (Zimbabwe). When I was five we moved to Zambia, where we lived for 2 years before we moved to Uganda, where we stayed for nearly 4 years. I grew up there, went to school and spoke their language but after 10 years my parents decided to move back to Germany. It has always been a dream of mine to come back to Africa where I actually come from. In fact I wanted to find a job here, but I couldn’t, so I decided to apply for a volunteer position. And now I am here in spite of the Visa problems I had. SSA: What do you love about your work as a volunteer? I think the most important thing for me is that you don’t need any qualifications to do volunteer work. It is all about learning new skills and you can come and bring all your ideas and visions, as well as the things that I have learned in my 22 years. The things that I don’t know I will learn. I have been here for 2 months and I experience and learn so many things that I am really grateful for. SSA: Did you already drop a brick? Yes, I did! In Germany it is very normal to tell people what you think, even your boss. I always treat people with respect when I tell them what I think about certain things, but here, things work a little bit differently. I have learned that in South Africa you really have to think about what you say. But everyone makes mistakes and how do you say it? You learn by making mistakes. SSA: Is there a message you want to leave for all volunteers out there? Yes I do. For me it is an honour to work for the Scouts as a volunteer in South Africa. We are given the opportunity to get involved in new things, we can bring the knowledge that we already have but also learn some very important skills.